RE/MAX Top Producing Team in the New Orleans Area! The Chairman’s Club Award is presented to less than two percent of all active RE/MAX agents. Specialists in the New Orleans Metro area in Real Estate, including Metairie, River Ridge Real Estate, Harahan, Lakeview, Old Jefferson, Old Metairie, Kenner, St. Charles Parish, Mandeville, Covington and Madisonville. With 34 years of experience specializing in the New Orleans real estate market, we understand the current housing trends and characteristics of the surrounding neighborhoods. We are actively involved in our communities and we also know that real estate has changed. We have changed to meet the challenge with an internet and technology presence for clients. We know our neighborhoods have grown and changed over the years, we know the schools, the restaurants, the galleries, the festivals. Quality service is our uncompromising commitment. The principals we live and breath each day are Teamwork, Integrity, Loyalty, Service, and Success. We do everything we can to serve our clients well, whether you are an investor, first-time homebuyer, moving up, downsizing, succession, or looking for a luxury home. I recently had the pleasure of working with Becky Weber in selling my house in Harahan, Louisiana. I have worked with many real estate agents over the last decade and I can honestly say that Becky receives the highest recommendation for her customer service, dedication, integrity and diligence. She truly did an outstanding job of marketing the property and going the extra mile to ensure a quick sale. 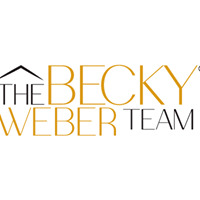 If I were to buy or sell another property in the New Orleans area, the first agent to whom I would go would be Becky Weber. I am happy to highly recommend her to anyone who may be in need of an agent in the New Orleans area.